No, don’t panic! It wasn’t the ponies! Husband is working on a job in Derby, and as it’s the Easter holidays this week I thought it would be a good time for a little road-trip. Husband went off for his meetings and Daughters 1,2 and I did some sightseeing and shopping. Catherine Daze had been to Derby a few weeks ago, and had kindly posted the whereabouts of some fabric stores, so I made a list and planned the attack while having a quick “wake-me-up” cuppa at the cafe at The Quad, opposite the Assembly Rooms. 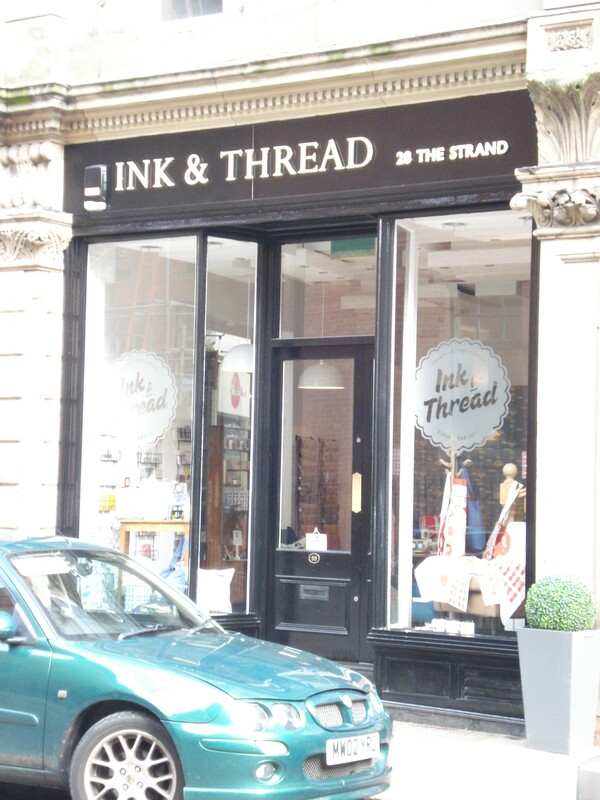 First stop for me was going to be Ink & Thread. Husband had found the shop a few weeks back. They stock only British-made stuff, quirky and with a retro twist. They are to be found at no 28 The Strand. They are well worth a look, they stock cards, gift wrap, quirky gifts and home furnishings. 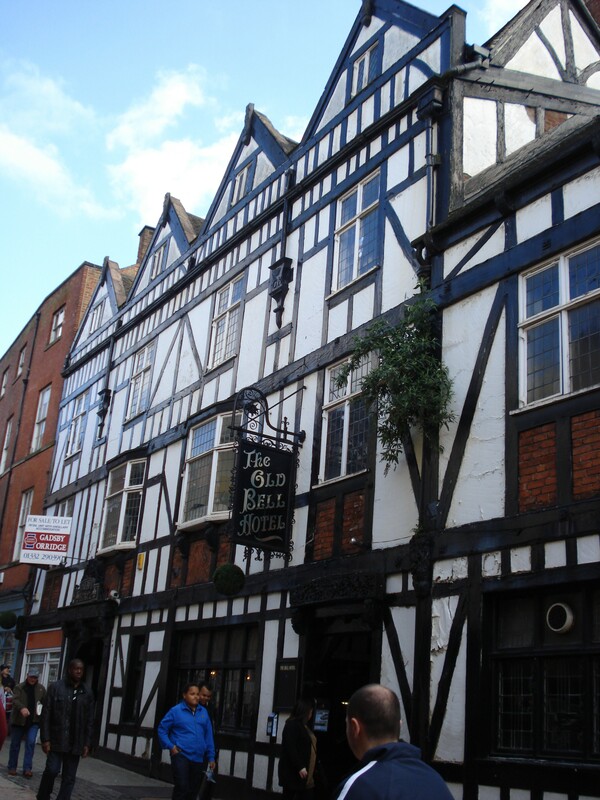 So to get there we needed to walk down Sadler Gate. We saw a fabulous old inn, such a shame it is so neglected! Looking through the old doors you wouldn’t have been wrong to expect to see the Harry Potter cast in there! 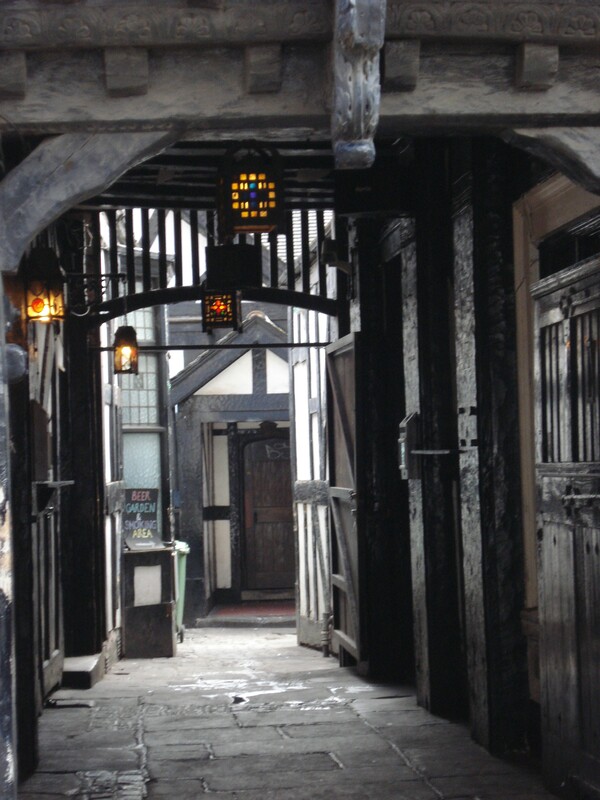 Down near the bottom of Sadler Gate is The Strand Arcade, a covered Victorian Arcade. Naturally I’m pretty nosey, so we wandered through to see what delights awaited us. Unfortunately most of the shops are empty, a victim of the economy and the rather large shopping centre, Westfields, that was built in Derby a few years ago. Just as we’re about to give up and return, I spotted this…. It was 10am and they had just opened – serendipity!! So in we went, ooing and aaahing! then I noticed the notice – no credit or debit cards, only cash or cheque. Dang!! So we left, with the promise to return! From there we found Ink & Thread, they were just at the end of the arcade, on the left. Everything in Ink & Thread is British made. The designers are British and the manufacturing processes are done in Britain too. They have an independent style that is really cool. Check out their Facebook page, and Twitter too. 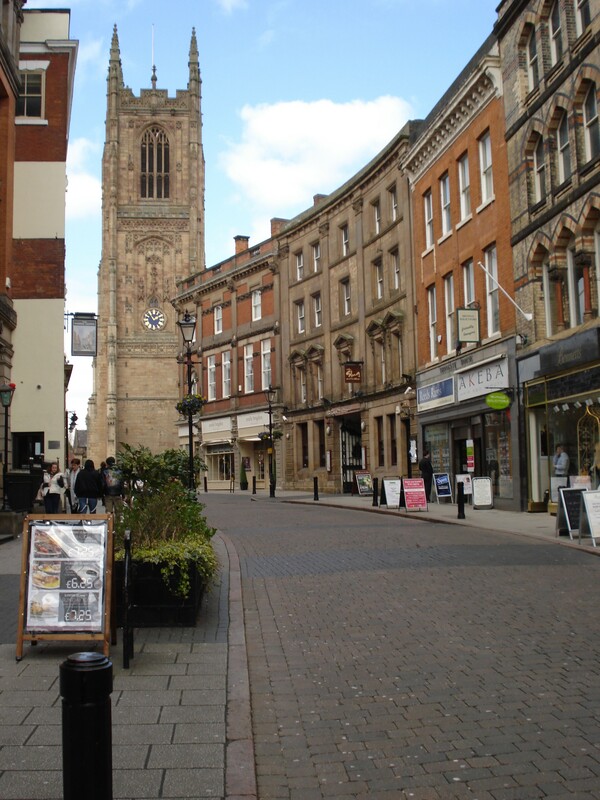 We popped into the Art Museum and Gallery to take in the Joseph Wright exhibition and some of the history of Derby, then wandered off to find Hook & Eye on Albert St. Catherine had mentioned it had a pretty good stock of haberdashery, and she wasn’t far wrong! They had stacks of buttons, buckles, all sorts of elastics and miles of ribbons. We also found some peacock feathers for Daughter no 2 for her prom dress – success! 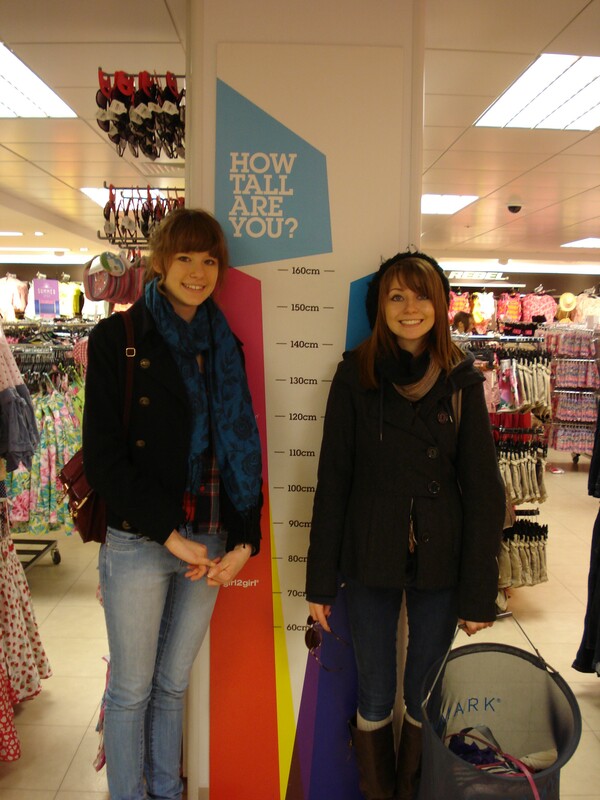 Time for lunch, but on the way to Nando’s the girls spotted Primark…. The death knell to properly made clothes!! It was the busiest shop I’d seen all morning – how sad is that! Look at that basket – loaded with cheap t-shirts and shoes for £3 a pair. Husband joined us for lunch and had the rest of the afternoon off, so we headed back to the arcade, and Tatler’s Fabrics! Pam Austin is the owner, and the store has been there for 20 years! They haven’t got a website, don’t seem to do email either, but she says she’s happy to send out samples if you phone. 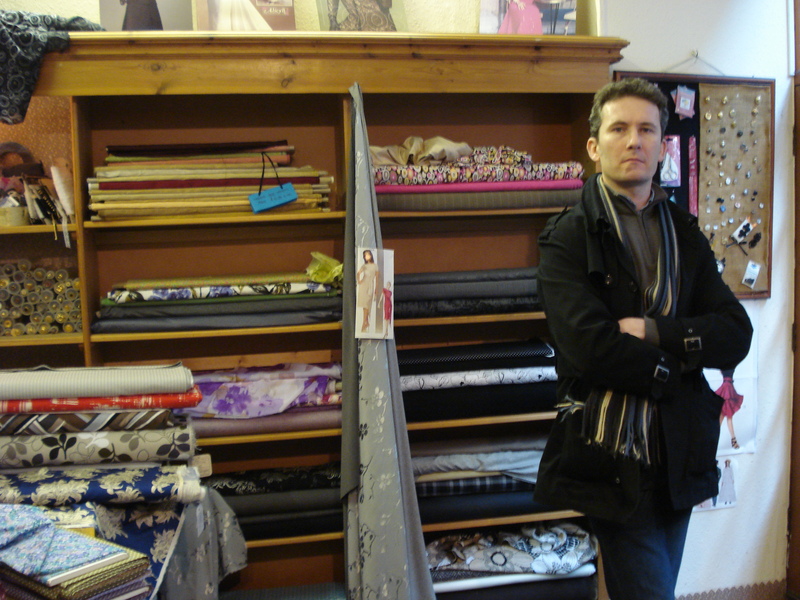 The shop itself is pretty small, but there are lots of quality fabrics on the shelves, and at pretty good prices too. 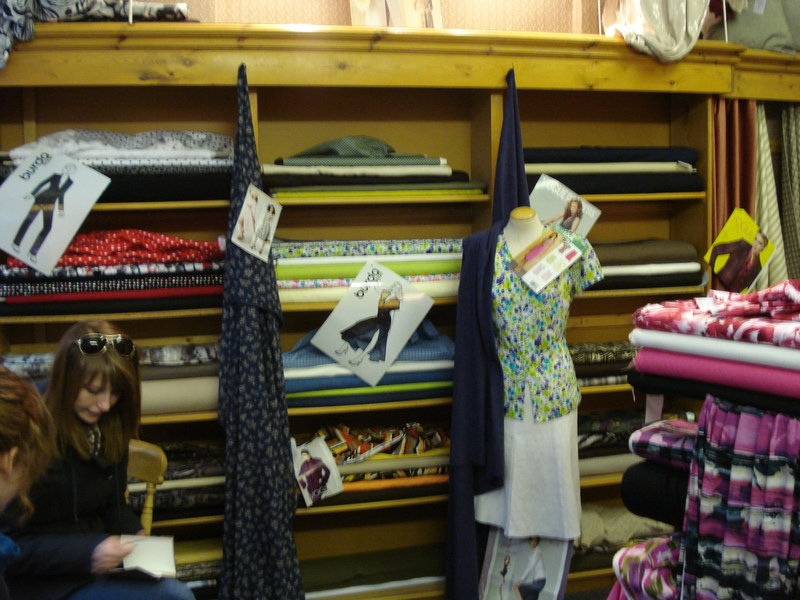 Upstairs is a small workshop, where Pam runs sewing classes. She limits the class to 5, and they are usually fully booked. If you are interested in a class, pop in or call to leave your details. 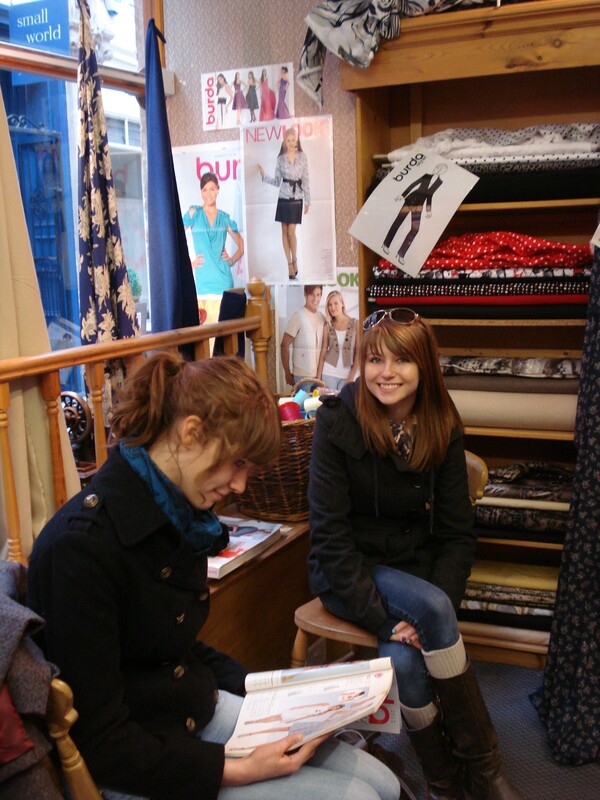 You can sit and browse the pattern catalogues, Tatler’s stock Burda and New Look patterns, so you can go home with fabric and pattern. 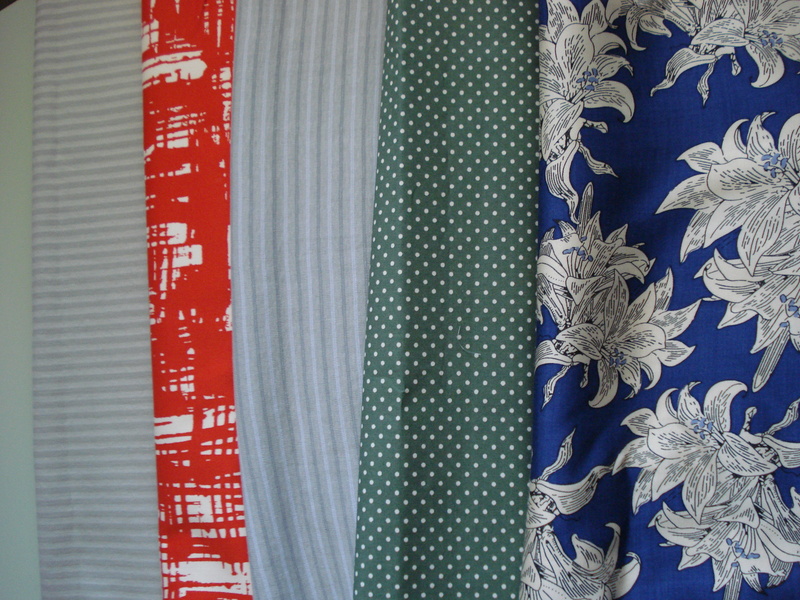 from left to right: 1.5m cotton and elastene grey twill, 1.2m red and white cotton sateen, 1.5m grey striped viscose jersey, 1.5m green and cream spot cotton, 3m cobalt blue and ecru floral print viscose. Heaven in a bag! Now I just need to make it all up! As I type, the twill, jersey, spots and blue florals are drying, the red is being washed on its own! What to make?? The grey stripe twill will either be a pair of skinnies or a jacket for Daughter no 1, the red cotton is earmarked for a skirt or dress for Daughter no 2, the jersey is mine – I feel another Renfrew coming. The green is for a top with Peter Pan collar for Daughter no 2 and the blue viscose will make a maxi-dress for Daughter no 1 and a blouse for me! ps. That viscose is BEAUTIFUL!! The colour is superb and the handling is fantastic. At first I thought it was a silk, until I checked the label. An absolute steal at £7.95/m. Yup, thats all!! :O Happy drooling folks, and get yourself off to Derby! 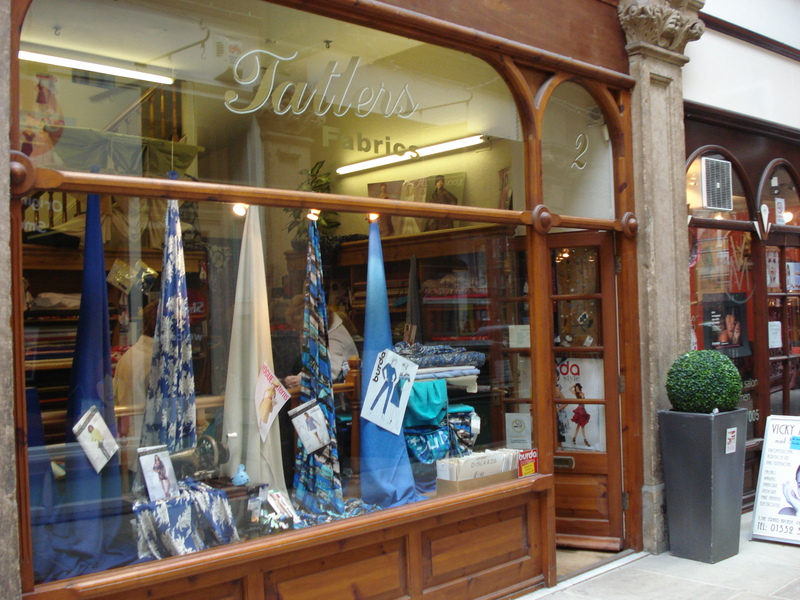 Tatler’s Fabric is at 2 The Strand Arcade, Derby, DE1 1BQ. Phone 01332 293 853. I searched where Berby is. It’s about 100km away from a small town called Bewdley where I have lived for a while. Your photos just remind me nice old days there!! PS. Your daughters are so beautiful! Thanks Jeyco! Bewdley is so pretty, the river really makes it, although also causes its fair share of problems. Beautiful fabrics! 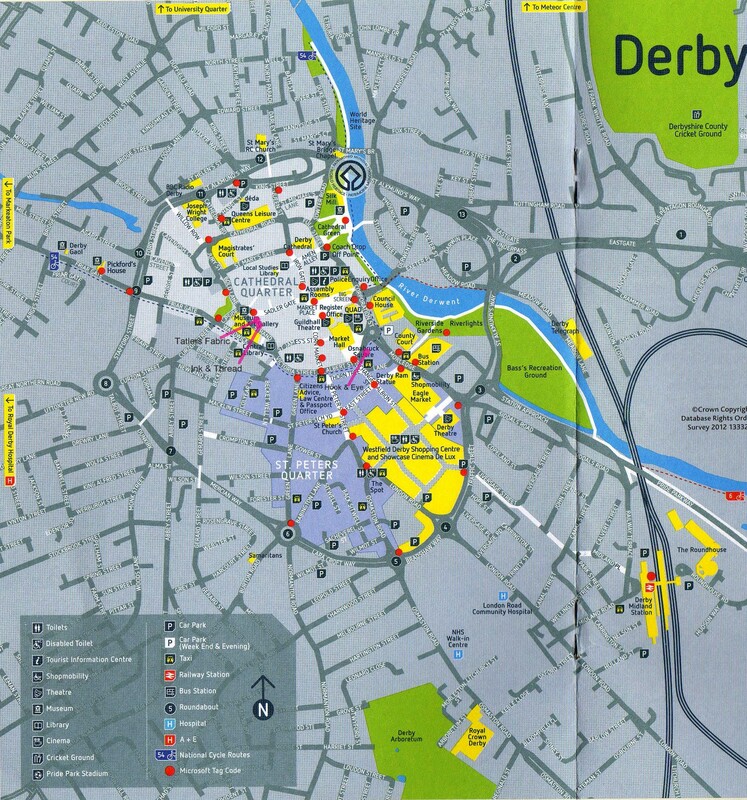 I’m from the U.S. but I used to travel to a small town near Derby (Loughborough) quite frequently for a former employer 5 years ago. Wish I knew about the shops back then – it would have been great to stop by. 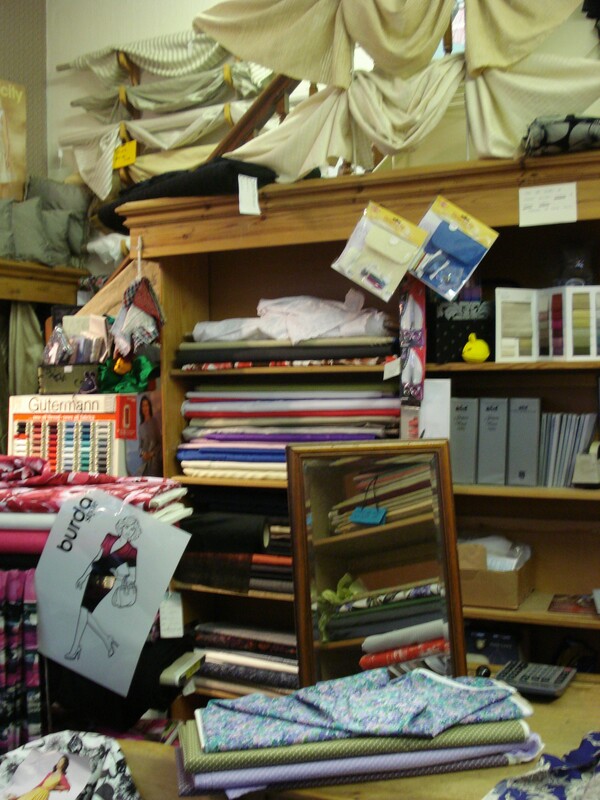 I’ll definitely have to check out Strand Fabrics next time I’m in Derby, thanks! Go armed with cash, Catherine! !